The number of ethnic minority, first-time graduate students inched up from 2016 to 2017 while women earned the majority of graduate degrees for the eighth year in a row, according to the latest annual study by the Council of Graduate Schools (CGS) and the Graduate Record Exam (GRE) Board. · The number of first-time applications for admission declined by 1.8 percent between fall 2016 and fall 2017 while growth in first-time college enrollment and total enrollment remained flat. · Underrepresented minorities accounted for 23.9 percent of all first-time U.S citizen and permanent resident enrollees, slightly up from 23.4 percent the prior year and a steady uptick from 21.1 percent in fall 2013. · Although minorities remain significantly underrepresented, especially in STEM fields, first-time enrollment increases among Hispanic and Latino men and women have been remarkable – up 5.6 percent for two consecutive years with average increases of 8 percent over five years and 8.1 percent over 10 years, fueled by a 21.8 percent rise in math and computer sciences and double-digit percentage increases in business and engineering programs. · For the eighth year in a row, the majority of graduate students at all levels were women, constituting 59.2 percent at the certificate and master’s level and 53.5 percent at the doctoral level. · International students were the majority of first-time graduate students in math and computer sciences (56.3 percent) and engineering (52.9 percent). · While enrollment of U.S first-time graduate students and permanent residents increased by 1.1 percent, first-time graduate enrollment of international students dipped 3.7 percent – but remained strong on five-year and 10-year trends, up 4.7 percent and 5.6 percent, respectively. · Several broad fields of study clocked increases in numbers of applications from 2016 to 2017, chief among them business (4.5 percent), public administration and services (1.9 percent), education (1.8 percent) and math and computer sciences (1.7 percent). · Graduate applications showed the biggest decrease in engineering, dipping 7.3 percent. · The number of master’s and doctoral degrees awarded increased 4.6 percent and 1.7 percent, respectively. 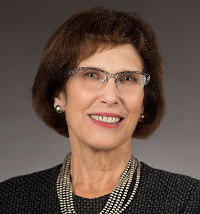 The continued growth in applications and first-time enrollments in graduate programs related to health sciences reflects a growing workforce demand for advanced degrees in those fields, said CGS president Dr. Suzanne Ortega, referencing recent U.S. Bureau of Labor Statistics data on employment projections. The prior academic year, from 2015 to 2016, was the first time since 2003 that international first-time enrollment dropped. The .9 percent decrease grew to a 3.7-percent decline for 2016-17. 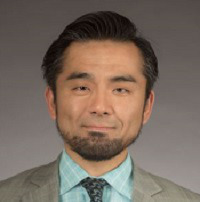 That’s a concern given that the value and contribution of international students, particularly in STEM fields, said Dr. Hironao Okahana, CSG’s associate vice president for research and policy analysis. He noted that the majority of international doctoral students indicate a preference to remain in the U.S. and contribute to the economy. Beyond institutions of higher education, the study typically garners the interest of employers and policymakers. CGS also conducts an annual survey focused solely on international graduate students, Okahana said, and the latest will begin this fall with results unveiled in early 2019.